David McCann - Brother can you spare an economic policy? 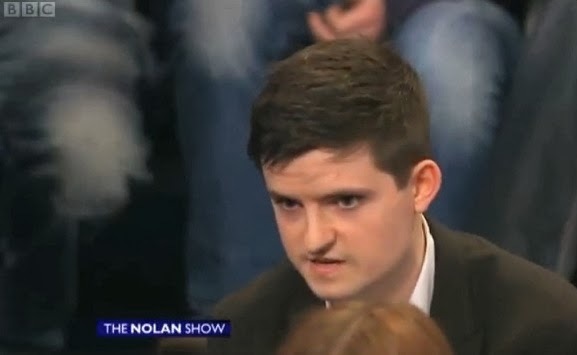 David McCann (@dmcbfs) is a researcher, academic and writer for Slugger O'Toole and The Journal.ie, below he has written a guest post and laid out a big challenge on the economy for people on both sides in Northern Ireland. There are some realities in Northern Ireland that seem to remain constant. We have bitterness and mistrust among sections of the two main communities and sense of political paralysis in Stormont. But another reality which is in fact more like a nightmare is our sluggish economy which contrary to protestations of some of our political parties is not performing as well as they would argue it is. Northern Ireland theoretically does have a relatively low level of unemployment at around 7 per cent. However these figures hide two things, 1) the very high level of people employed in the public sector (31 per cent) and 2) the staggering levels of youth unemployment which some estimates have at being above 20 per cent. Time to leave the country I hear you say? Well with these figures I wouldn’t blame you but to borrow the old Charles Haughey mantra of ‘come to my table with solutions’ I aim to give some positive suggestions for Northern Ireland to emerge from this dark malaise. Any economist worth their salt will tell you that the key to solving any problem is to ‘define your reality as it is, not as you would like it to be.’ Our reality is that Northern Ireland has been a victim of its political associations. Often the tale is told that we are better off within the United Kingdom. Now it is true that those lovely people across the water kindly send us £10 billion more than we actually put in. However, have we ever actually stopped to pose the question how are we ever going to get out of this? Think about it for just a moment. We cannot raise or cut our own taxes. Nor can we abolish levies like air passenger duties to encourage new airlines and businesses to come to Northern Ireland. We cannot do these things because of the economic constraints that are part of our current devolution arrangement. Like the addict who cannot give up his/her daily fix, our province cannot give up its addiction to subsidies. We are in effect a victim of the situation that we think helps us in the long run. Our politicians suffer from this addiction too. The only real economic debate in Northern Ireland politics is about whether it would be better to get our subsidies from London or Dublin. This unhappy muddle over the economic direction of the province is the main reason why we cannot seem to lure anything other than call centre jobs. Why can we not develop a political narrative that says to Unionism; if you want to get back to those glory days when Northern Ireland led the world in industry then we must break some fiscal and taxation links with Britain? Plus are there not some areas of our economic life that fit better with the Irish Republic than with the rest of the United Kingdom? Tourism, trade and areas of agriculture are some things which come to mind. There is a middle way in Northern Ireland politics. All it needs to do is develop a proper economic narrative. In writing this piece, I hope I can make a small contribution to this endeavour.